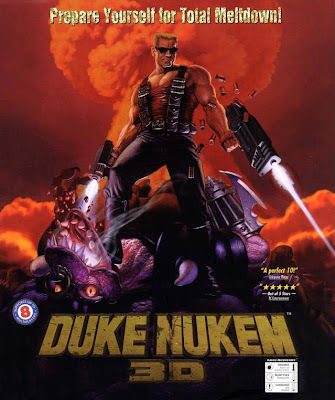 Duke Nukem series has been greatly popular in past one and half decade. Though there were no new games for some time, the macho Duke is back as showcased in demo of Duke Nukem Forever at PAX 10 bursting pigheaded aliens with his gun. While there is still time for the game to come, in the meantime you can go back to all time classic Duke Nukem 3D and play it on Linux like a native game. You will need a copy of original Duke Nukem 3D to be able to play it on Linux and EDuke32 an open source enhanced port of the game. You can buy the game for $5.99 from the link provided on the Eduke32 site. Though you will get a playable shareware version with Eduke32 with limited levels. EDuke32 is a free homebrew game engine and source port of the classic PC first person shooter Duke Nukem 3D to Windows, Linux, Mac OS X, FreeBSD and several handhelds. It includes all kinds of new renderers, tons of cool features and upgrades for regular players, and thousands of additional editing capabilities and scripting extensions for mod creators. 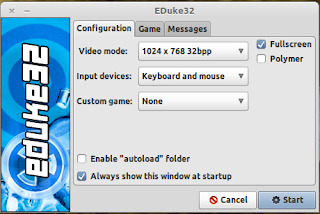 EDuke32 is completely free, open source software. In case of some doubts, please visit the Eduke32 forums and wiki from the official website. Duke Nukem series and classic shooters will surely have a fun time playing it.